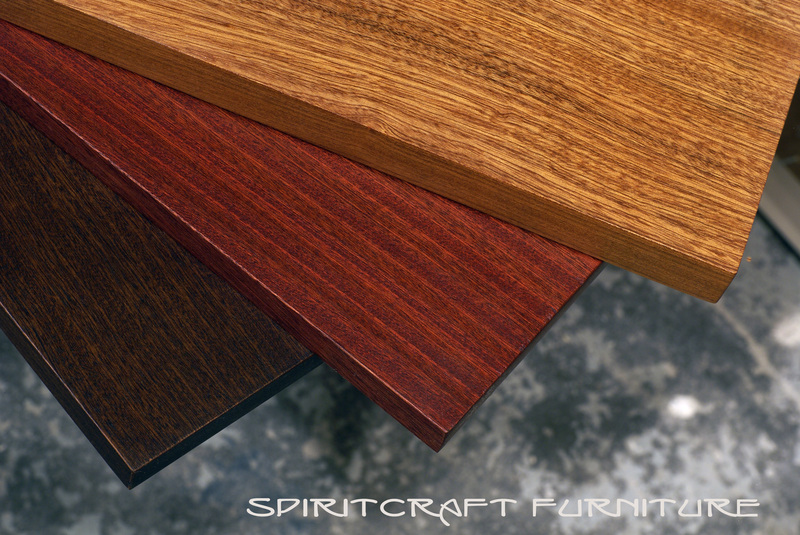 Learn about the Woodworking Services and Custom Table Tops that we offer at Great Spirit Hardwoods. 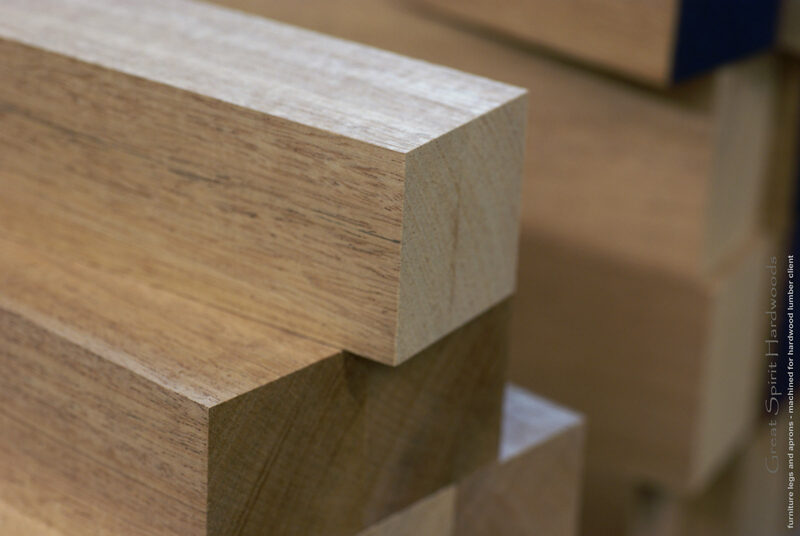 Insist on the same quality in out-sourced woodworking services that you insist on in the hardwood lumber you select for your wood-working project. About our Woodworking Services: We offer precision quality woodworking services to our hardwood clients, and to fellow woodworkers and DIY enthusiasts. 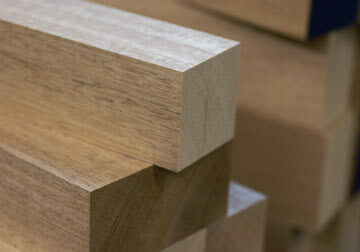 We are also furniture makers and can offer the quality you should expect to make your job easier. 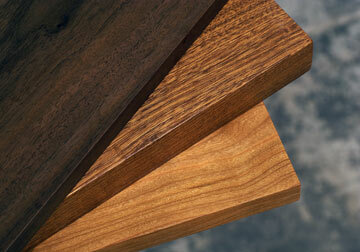 We can perform surfacing, straight edge, wide belt sanding and perform glue up's to the hardwood lumber you purchase. 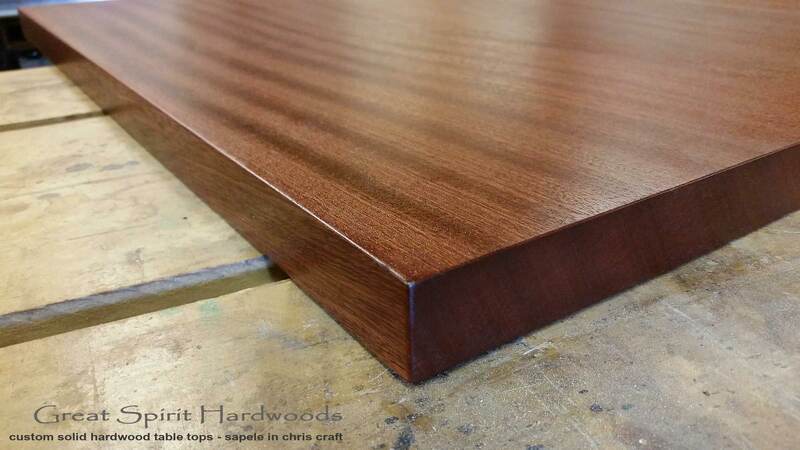 We also make custom made hardwood tops and furniture parts to fellow woodworkers who might not have the space for industrial sized equipment in their shops. 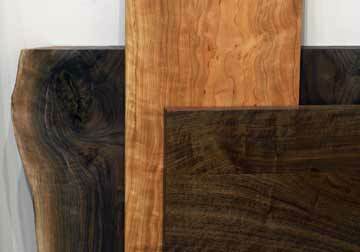 We can do everything from simply surfacing your boards to making quality glued up panels and hardwood tops. 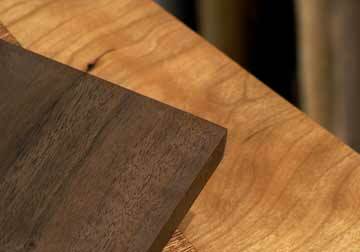 Custom Hardwood Table Tops: We craft custom hardwood tops for fellow professional woodworkers, DIY clients who need a top for a base and to office, commercial, restaurant and library clients. Our solid hardwood tops are machine flat with perfect joints and are made from wider boards than typical due to our larger jointer. Our hardwood table tops are wide belt sanded flat to 150 Grit and left with a open grain that accepts any finish. One quick pass in 180 grit with a random orbital sander is the most any top will need and we can perform that service in a snap with our Swiss made sanders. 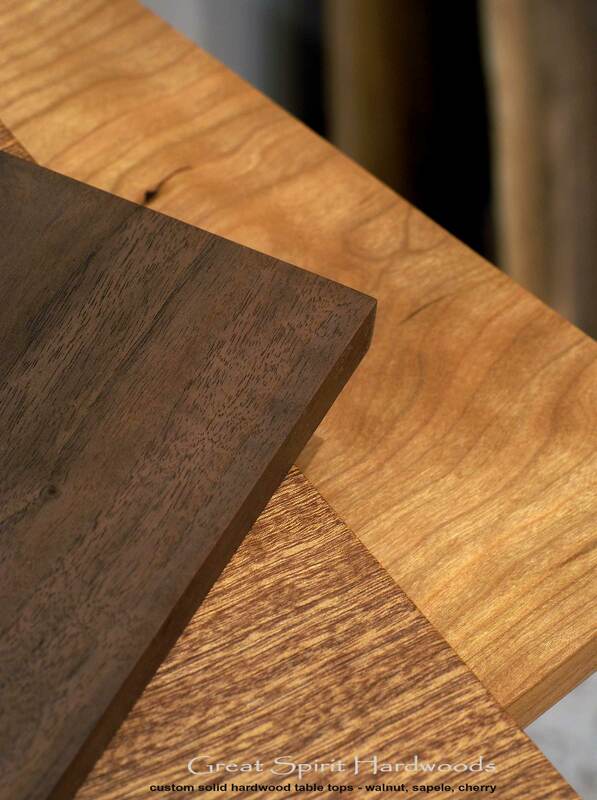 If a finished product is desired, we offer the same proven finishing process that we use on all of our solid hardwood furniture which allows the grain to remain apparent while offering supreme protection. 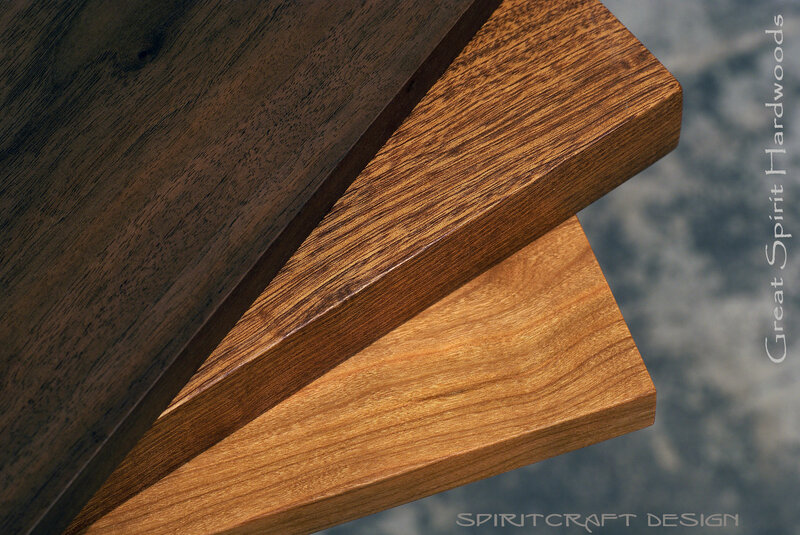 We craft tops in any hardwood, exotic or domestic. 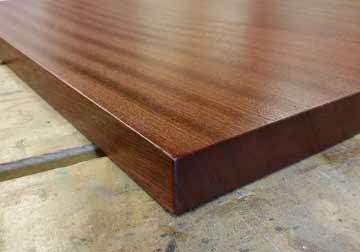 Jointing Boards, Straight Edge and Surface to 16"
Why Consider our Woodworking and Custom Hardwood Top Service? Attention Woodworkers - Our services will add to your bottom line: While our various woodworking services are not free, they will most certainly add to your profit margin on that next job. From experience, we know how valuable time is and how long many aspects of woodworking take when you don't have the room for industrial sized equipment. Our furniture business started in a basement so we are very aware of the time it takes to make a table top using skinny boards or the headache of trying to random orbit a top while hoping it remains flat at the end of the day. As a woodworker, you will come to appreciate what we can do to assist you in saving you time and money on that next project. Imagine spending your time on design, assembly, or the joinery of that next piece rather than killing yourself and your bottom line in laboring at something we can do for you in a very short time and small relative cost. Again, as woodworkers and furniture makers, we have been there, and we know very well that the phrase "time is money" is indeed very accurate. Various Random Orbital Sanders, Routers etc.